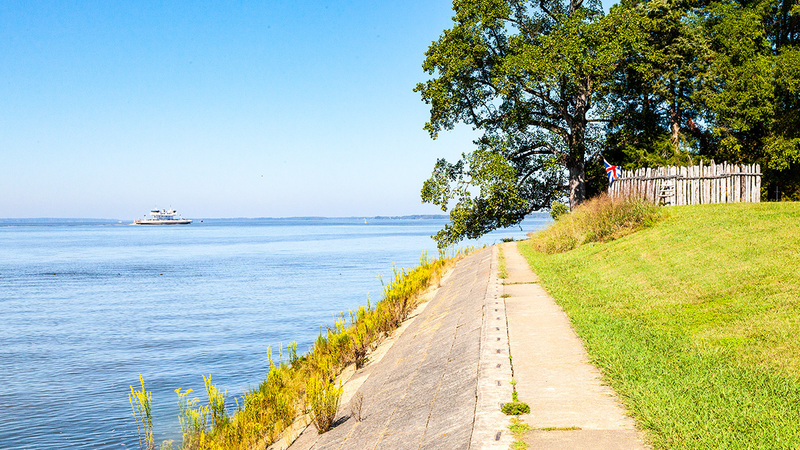 America’s first permanent English settlement was established in 1607 on this island just off the north shore of the James River, in southeast Virginia. 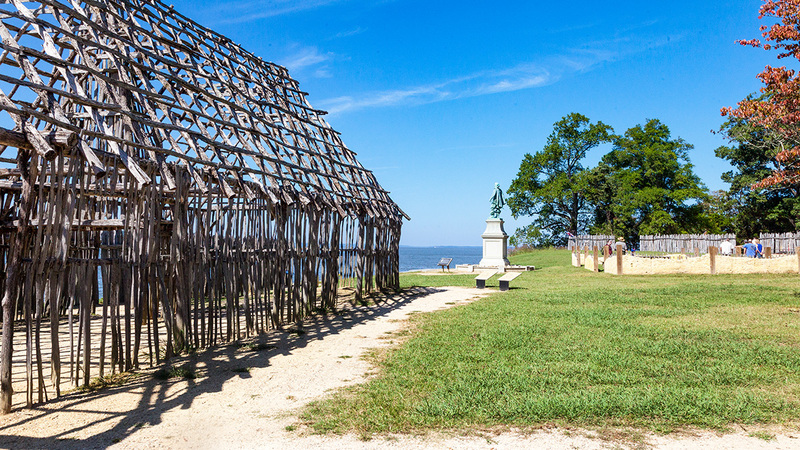 Prior to the settlers’ arrival, thousands of Native Americans, many of whom were part of the Powhatan Chiefdom, lived along the James River. The English selected the island for its defensible location, tucked within an oxbow. 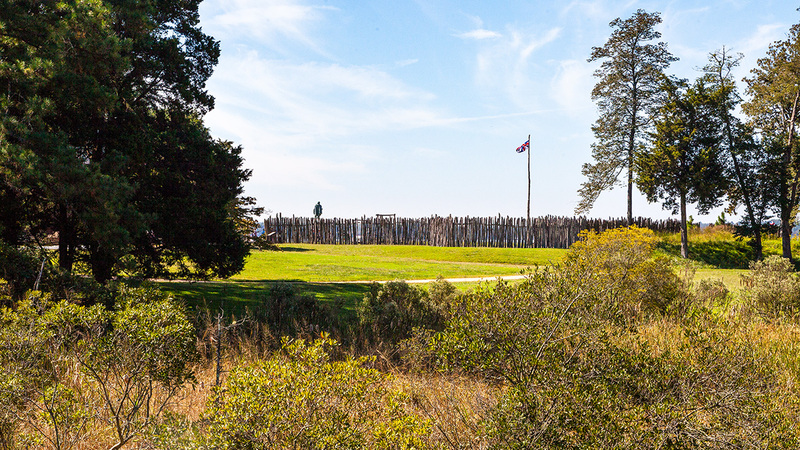 They constructed a triangular fort with wooden palisades surrounding Jamestown, and cleared adjacent land to harvest lumber and tobacco. 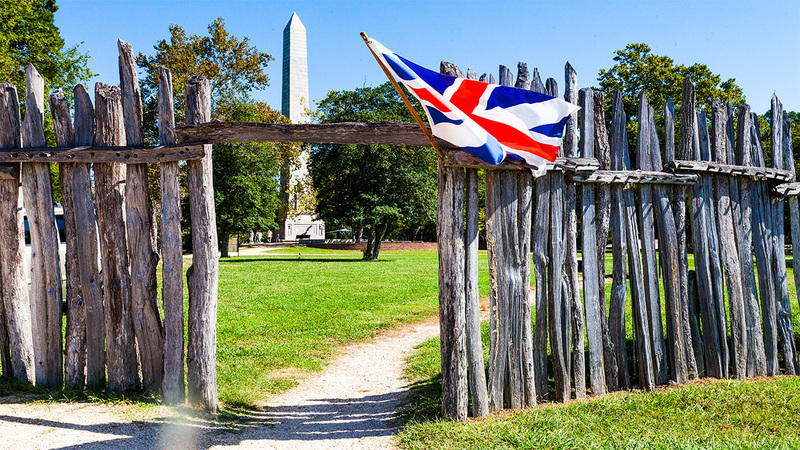 In 1699 Jamestown was mostly abandoned when the state capitol was moved from the island to the nearby town of Williamsburg. 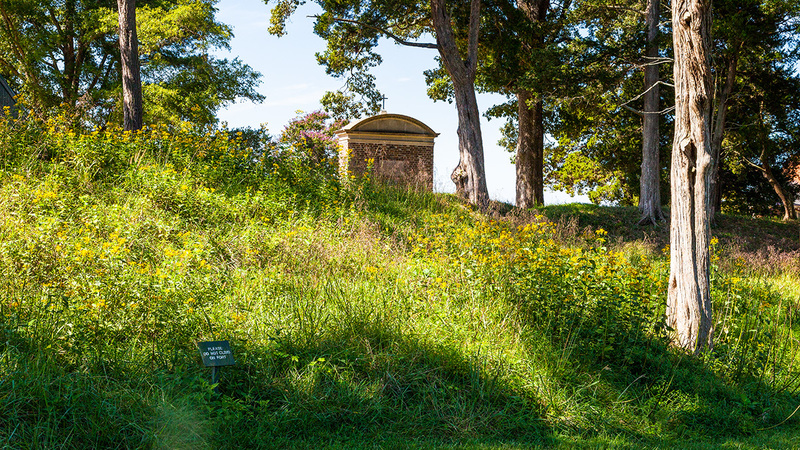 During the Civil War, slaves and Confederate troops built additional forts and earthworks on the island to defend the mouth of the James River. 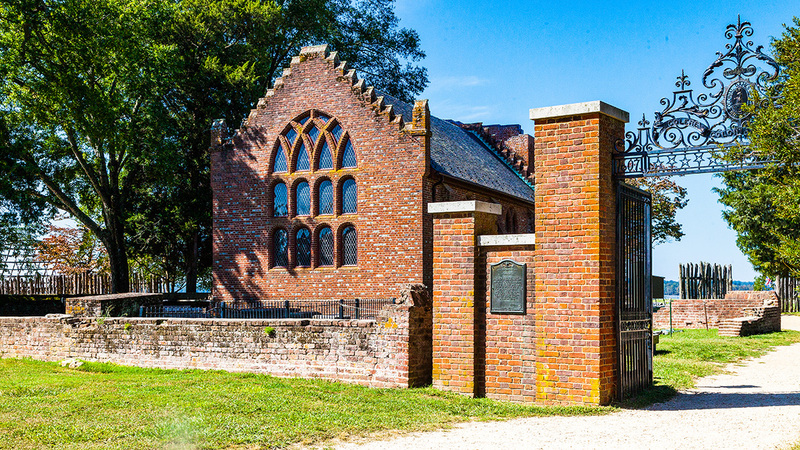 In 1893 the Association for the Preservation of Virginia Antiquities (APVA), later renamed Preservation Virginia, purchased 22.5 acres of the original townsite at the island’s northeast corner. 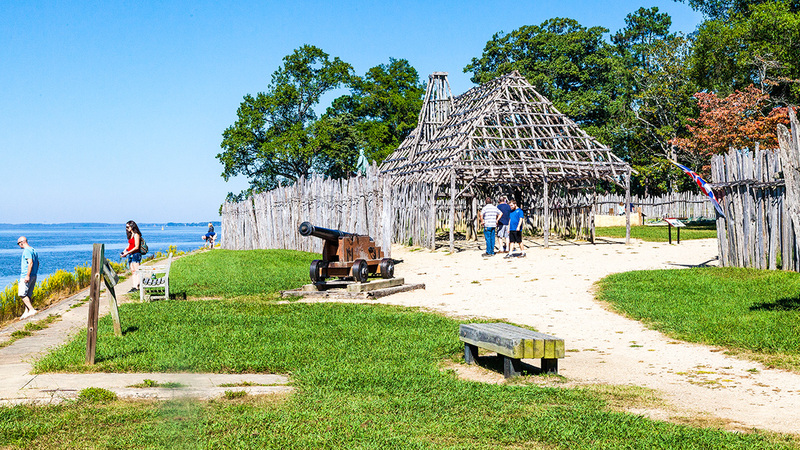 Shoreline erosion led the APVA to believe that most of Jamestown had been submerged. 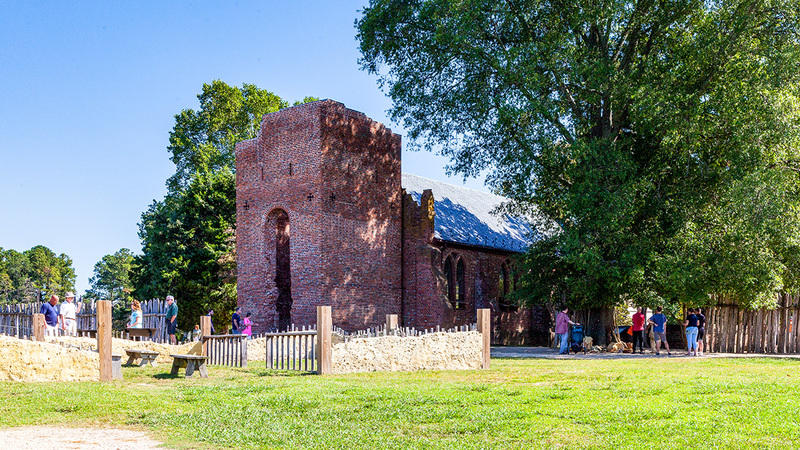 In 1907 the APVA constructed a replica of the original church near an extant tower where they believed the church had once stood and hired landscape architect Warren Manning to design a planting and circulation plan, completed in 1914. In 1934 the National Park Service (NPS) purchased the remaining 1,561 acres of the island. Composed primarily of wetlands and hardwood forests, the landscape provides habitat for deer, turkey, and fish. Completed in 1957, Island Drive, a five-mile pedestrian and vehicular road, begins just north of the original townsite and travels east in two loops and via four wooden bridges through creeks and wetlands. 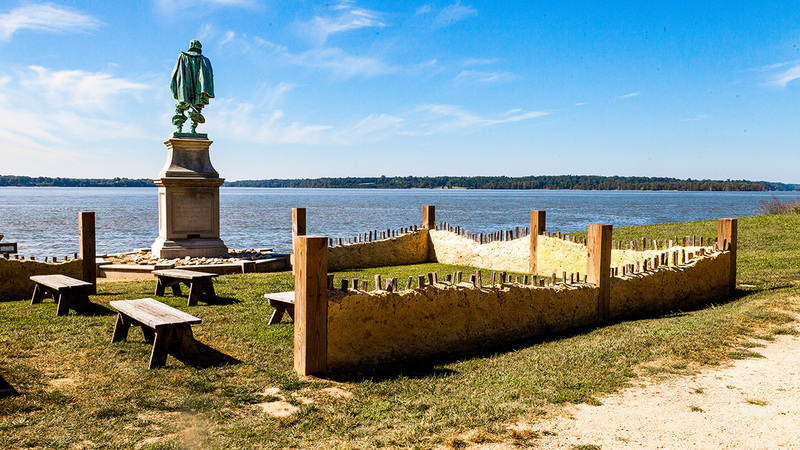 In 1994 archeologist Bill Kelso discovered that most of Jamestown was in fact buried on dry land. 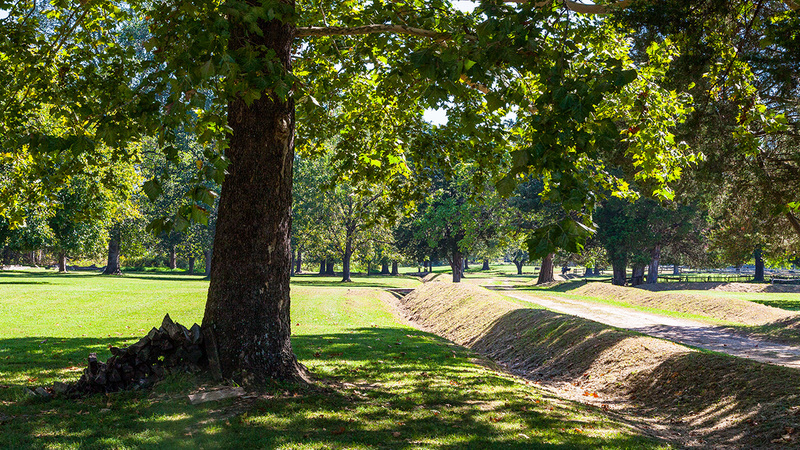 The excavations that followed have helped reconstruct palisade segments and reveal building foundations. 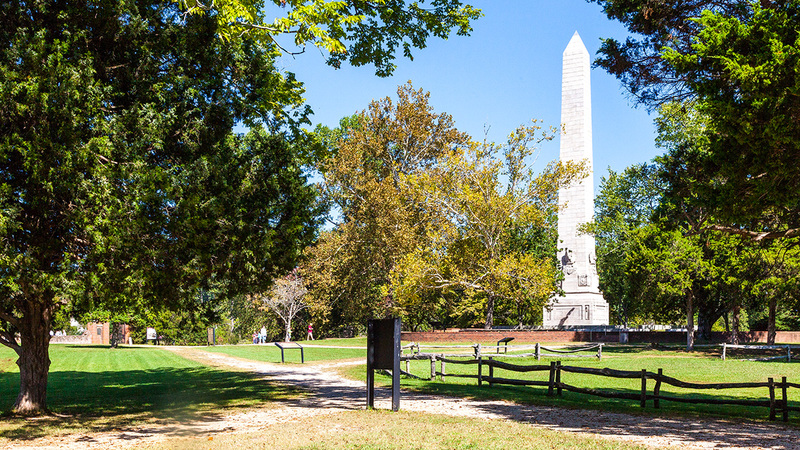 The NPS property was designated as part of Colonial National Historic Park in 1930, and the APVA property was listed in the National Register of Historic Places in 1966.